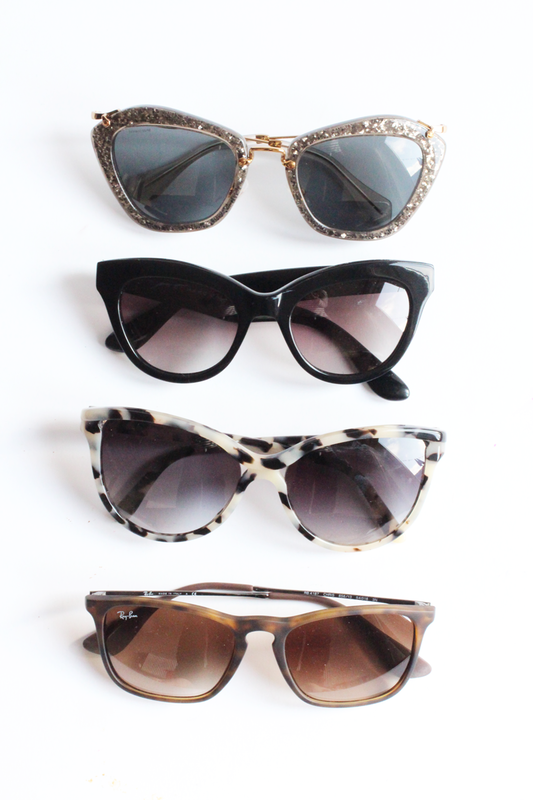 Sunglasses, oh sunglasses. You are the one vice (aside from coats and boots) that I couldn’t be without. And I mean this literally guys, photophobia isn’t pretty and no one wants to see me look like I’m crying on a sunny day. Oh and I certainly don’t want the early wrinkles from squinting so much, so sunglasses it has to be. Although most associate them with S/S, I definitely carry mine on through Autumn as you can still get those sunny days (like it was yesterday) where shades are a must. You’ve all seen these before most likely, but I thought I’d run through some of my most loved sunglasses that I’ll be wearing right through Autumn and on any sunny days. I mean, you haven’t seen my whole face since about March anyway and I intend to keep it that way as long as possible (dark circles aren’t my best asset, you guys). So, starting from the bottom with some classics, the RayBan Chris Sunglasses are the perfect every day option as they’re not too in your face and the tortoiseshell makes a change from your standard black. Next we have a slightly more loud pair in the form of those Stella McCartney Tortoiseshell Dreams which are the best things since sliced bread, in my opinion. I’ve been wearing them nonstop as they’re just so flattering and a statement without being completely insane. Next we have my most featured Marc by Marc Jacobs Sunglasses which I’m sure you’re all sick of now. I mean, you can’t go wrong can you? Black, slightly cat eye, slightly oversized, nice branding down the sides. Perfect. 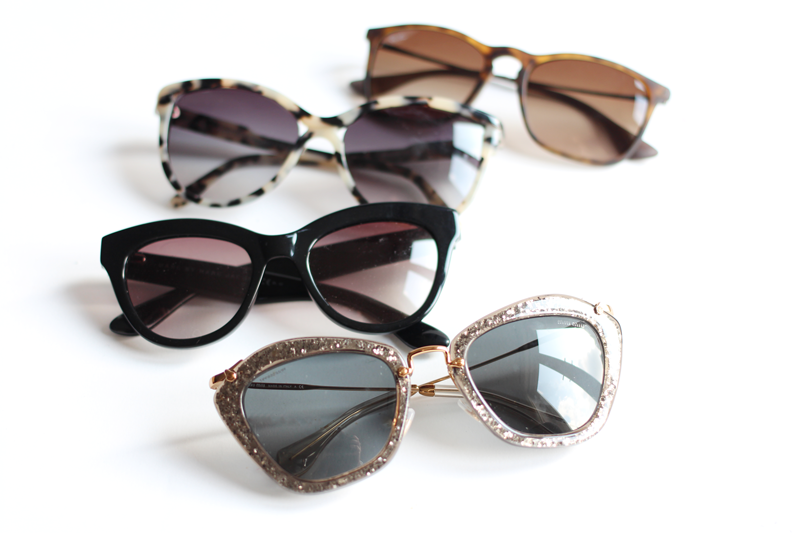 Aaand finally, we have the most obscure in my collection, the Miu Miu Glitter Sunglasses. I originally thought I wasn’t sassy enough to pull them off, but they’re surprisingly easier to wear than first thought! Plus, they add a punch of extra detail to an ensemble, so they’re an all round winner, really. They’re the shades I’m still obsessed with and no doubt I’ll be buying more. I’ve already eyed up some from Glasses On Spec, as I’m feeling like RayBan aviators might be a thing I should try. Are you behind wearing sunglasses all year round, or do you think people just look a bit silly wearing shades in Autumn? Let me know! *collab link | Some of these items have been sent to me for review purposes, see my full disclaimer here.